*Wired activation switch with wire harness. 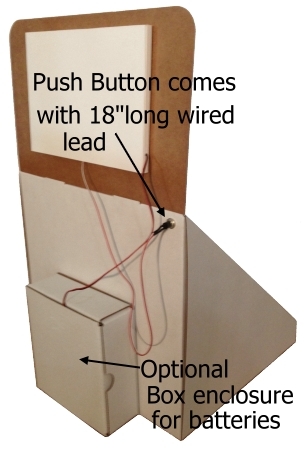 *Wired battery pack with long wire harness to install at a hidden location away from your screen. Screen Commercial Grade 7"Diagonal LCD. Screen Size 7"Diagonal. 6"wide x 3 5/16"high. 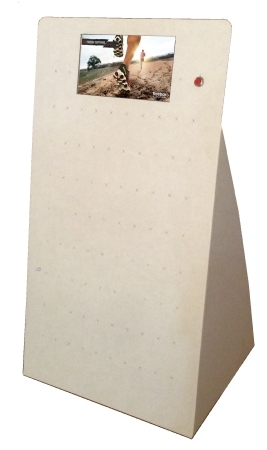 Housing Rigid Cardboard Sealed, Housing Size is 8 1/4"wide x 5 13/16"high x 3/8"thick. Button Approximately 3/8"diameter push button on an 18"long wired remote lead. Includes lock nut to hold in place. Button Function Push button and system will play video for 1 minute and shut off. 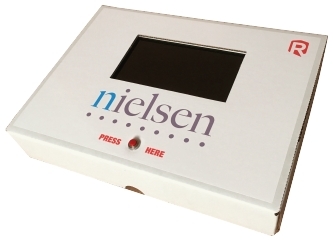 Video Function System conserves energy with auto shut-off after 1 minute of play. Video Length Create video at 1 minute or less. 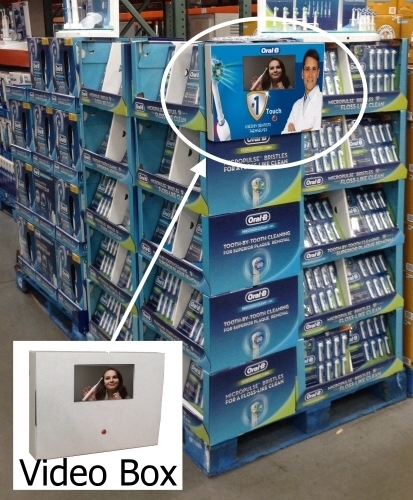 Research shows most customers won't watch more than a 1 minute ad in-store. 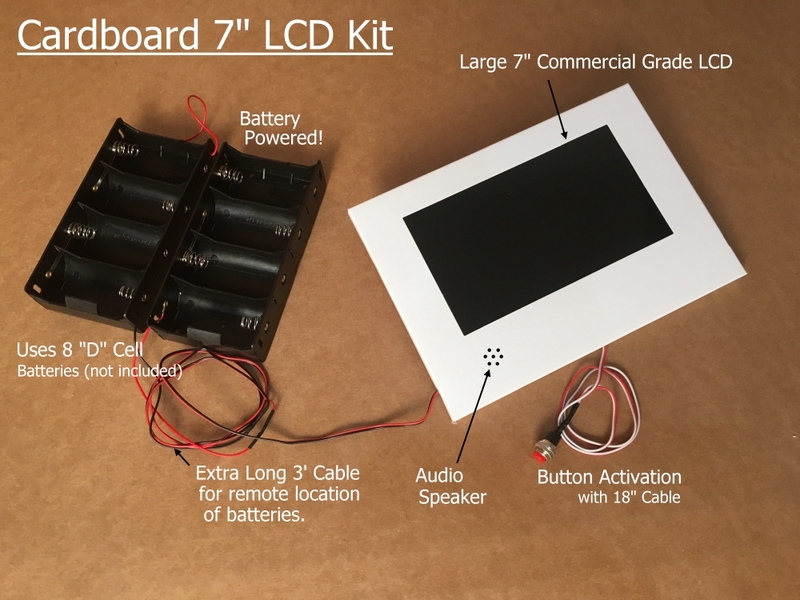 Audio Includes built in 8Ὠ, 2 Watt Speaker for Audio. Power Source 8 "D" Cell Batteries (Not included). 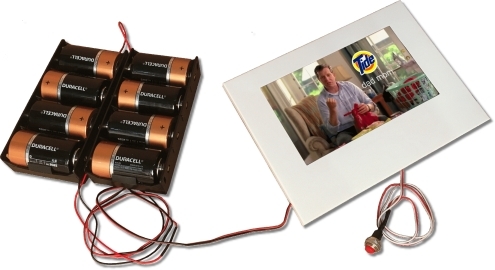 Use Alkaline type batteries . Power Cord Low Voltage wire harness at 36" in length for remote installation. Input Source Mini USB connector on right hand side allows connection to your PC or Mac to upload video. Mini USB Cable Included in your purchase (AC Adapter is not included, you can use almost any USB power adapter). 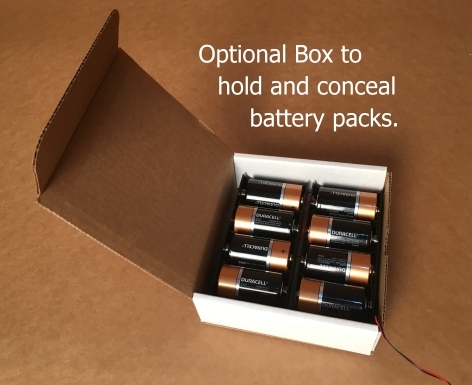 Battery Life Tested to run 3 or more weeks with 40 button activations daily on a single set of batteries. Weight Screen is only 4 ounces. Weight with empty battery packs is 6 ounces. 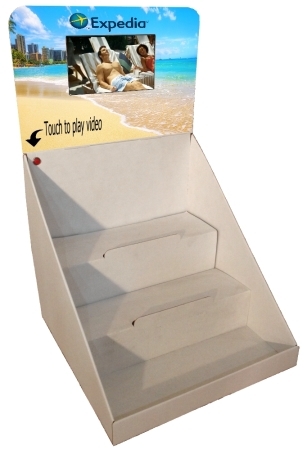 Includes Button for activating a single video to play a one minute advertisement. Unit will automatically power down after each play to conserve battery power. Video is uploaded to your LCD via included Micro USB Cable that connects to your Computer. 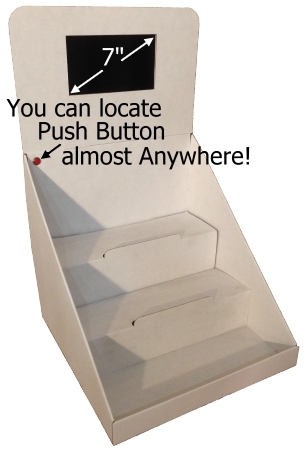 Button and Battery Packs are connected via wiring that allows you to custom locate your push button and power source. 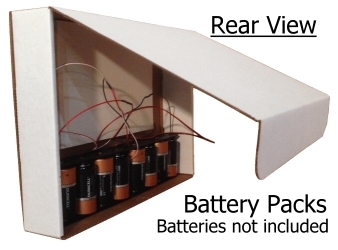 Battery Housing for 8 "D" Cell Batteries is included, but White Box Enclosure is not included (Optional). Batteries must be purchased separately. We recommend using Alkaline Quality Premium Batteries. 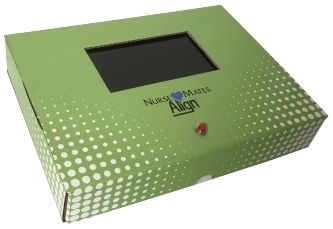 Unit is reusable and new batteries can be added anytime. 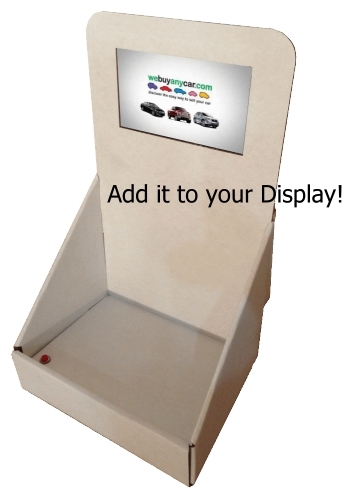 Use it in Point of Purchase Displays and more! Complete Video Box set as shown above. 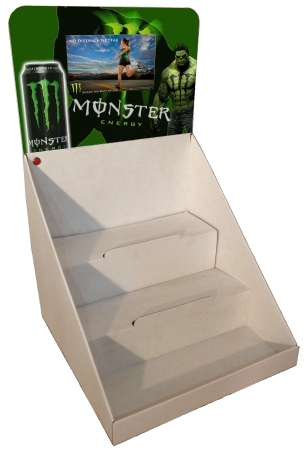 Cardboard Box is standard white on the exterior, but available with Optional Custom Graphics. 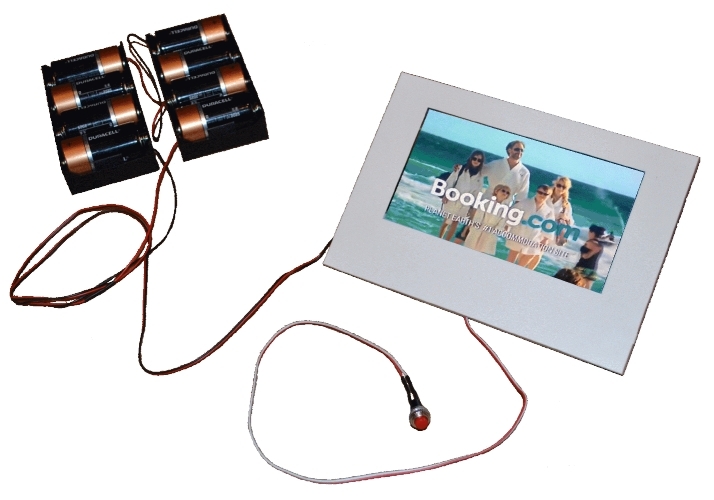 Unit comes complete with mounted 7" LCD, Video Player and Batteries as shown. 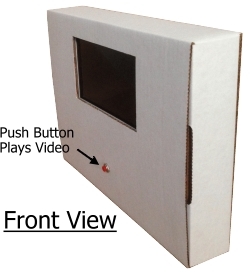 Includes Button for activating a single one minute video advertisement. Unit will automatically power down after each play to conserve battery power. 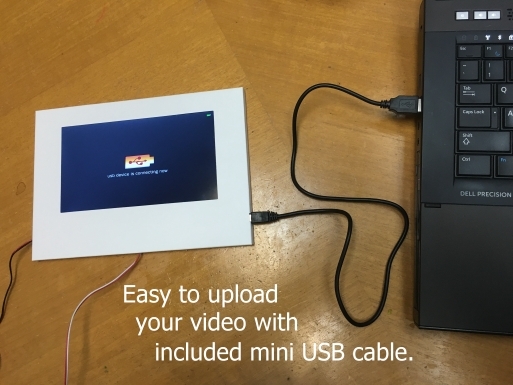 Video is uploaded to your LCD via included Micro USB Cable that connects to your Computer. Battery Housing for 8 "D" Cell Batteries is included. Batteries must be purchased separately. We recommend using Alkaline Quality Premium Batteries. Unit is reusable and new batteries can be added anytime. 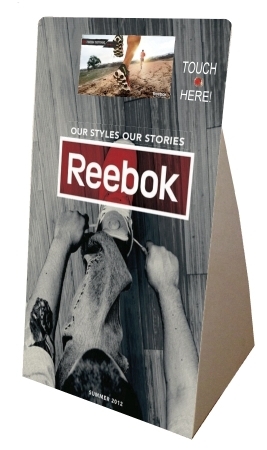 A Spot Mount Graphics will be mounted to cover the full front with an exposed white border of approximately 1/2". Sides, top and bottom will remain white. 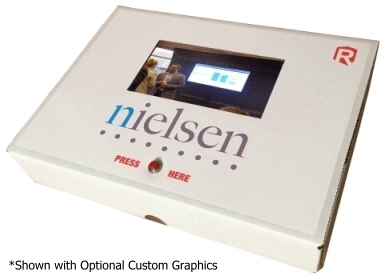 Prices shown are for each unit and are to be added to the cost of the Video Box. 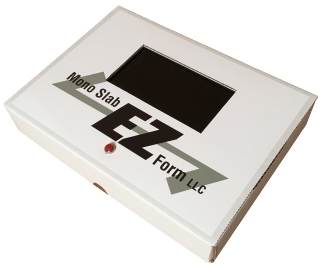 Full Custom Graphics will be printed and mounted to cover the entire outside of the box with your custom artwork, including the sides, top and bottom. Prices shown are for each unit and are to be added to the cost of the Video Box. Housing Installed inside Heavy Gauge 200lb Test Corrugated Box. Button Approximately 3/8"diameter push button mounted on the front of the box. 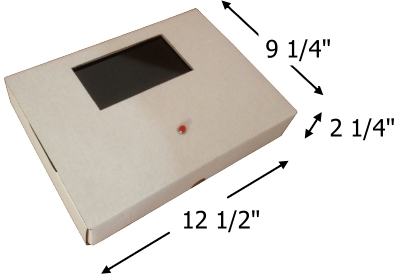 Audio Includes built in 8Ὠ, 2 Watt Speaker for Audio, inside Screen Enclosure.